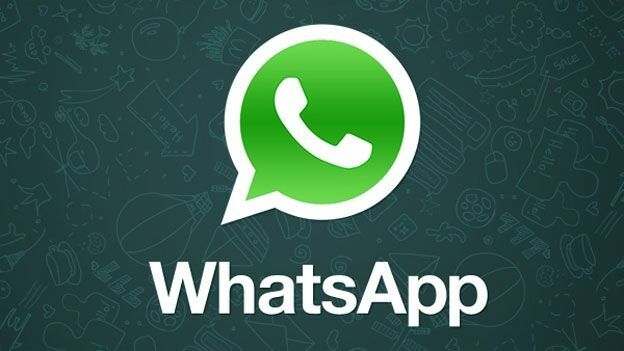 So reports that Google was planning to buy Whatsapp were wide of the mark according to the messaging service's business development head Neeraj Arora.With a $1bn (£629m) figure touted for the supposed acquisition, it would have comfortably been one of the biggest buyouts in recent tech history. Google has yet to comment on the speculation which doesn't entirely rule it out so as we wait to see if there is still life in the story, we take a look at some of the most lucrative buyouts as one tech company swallows up another. The one-time king of PDAs, Palm re-entered the smartphone market in 2009 with webOS, an operating system that looked equipped to take on iOS and Android. We raved about it following a hands-on at its Mobile World Congress unveiling. And then it launched… There followed a damp squib of a marketing campaign and a dribble of mediocre handsets – including the stupefyingly poorly-named “Palm Pixi” WebOS was undoubtedly very good, but if nobody was buying the handsets, who cared? HP had spent years with the choice of any OS it liked, so long as it was Windows. WebOS offered an alternative. When Palm asked for bidders to bail it out in April 2010, after a couple of years of middling-to-poor phone sales, HP dug deep and threw £1.2 billion at the cause. They finally had their own OS, leaping free of the shackles of Microsoft. Skype launched in 2003 and quickly became the world's VoIP platform of choice. However, while dominant in the home video chat market, Skype made a $352.2 million loss in 2009, though it did manage a $20.6 million profit in 2010. Most of its users don't pay for the service. $8.5 billion. That's what Microsoft handed over to take the Skype reins in May this year. Why so much dosh for such a low-profit company? Firstly, Microsoft no doubt saw greatly increased potential for video chat in the home, thanks to the sudden appearance of a camera in the living rooms of all the millions who bought the Kinect. It may have felt that its Windows Phone 7 operating system needed a version of Apple's FaceTime if it were to compete. Finally, the fact that Facebook was also said to be sniffing around Skype may have spurred Microsoft to dive in. PopCap was born in 2000 and for many years was probably best known Bejewelled, which has been ported to every device short of your kitchen kettle, garnering 50 million downloads along the way. Peggle was another big hit, but it was the award-winning PC, Mac, iPhone and Android smash Plants vs. Zombies that really hit the spot, though, amassing 150 million downloads worldwide, and spawning its own range of stylish apparel and merch. A huge force in the home gaming market for nearly four decades, EA is keen to expand its mobile portfolio with an emphasis on casual and social gaming. So keen, in fact, that it splurged, depending on who you believe, somewhere between $650 million and $1.3 billion to bring PopCap on board. YouTube was launched by three former PayPal employees in 2005 off the back of an initial $11.5 million investment. Its rise to success – social, if not financial – was incredibly quick. Just a year after launch, the site was recording 65,000 video uploads daily. It was this near vertical climb in popularity and market dominance that put YouTube on the radar of one of the world's most influential companies. With its own video channel struggling, Google went for the obvious solution and swallowed its most promising rival. Then-CEO Eric Schmidt said at the time of the deal that YouTube “complements Google's mission to organise the world's information and make it universally accessible and useful.” Hence, it dropped $1.65 billion in Google shares to snap YouTube up, despite its non-profit-making nature.